Big thanks to the Saint Charles Lions for their $500 donation to Ready Set School! All donations received go back to Winona County k-12 students as they prepare for the new school year. Last year Ready Set School assisted 127 St. Charles area students and their families. 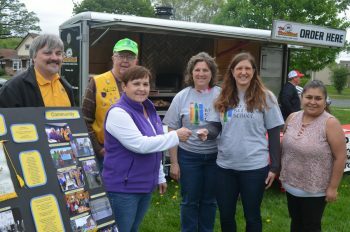 Pictured (L-R) St. Charles Lions Club members Dan Hursh, John Gregoire and Pat Kieffer; and Ready Set School board members Theresa Nunemacher, Gretchen Hoffman and Maria Rodriguez.